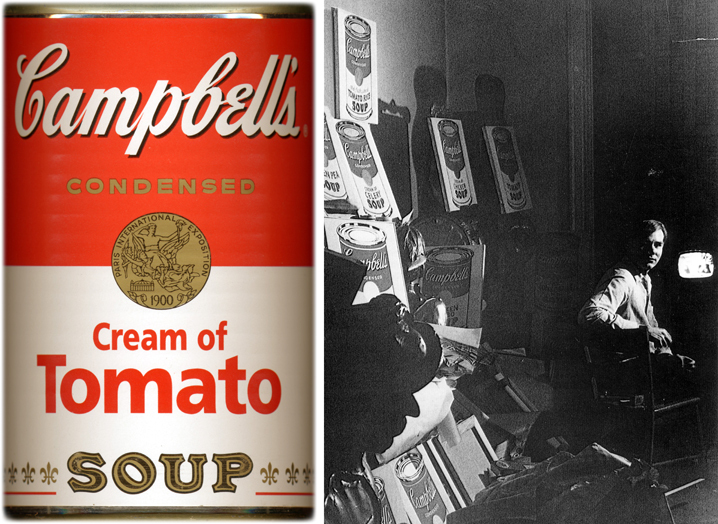 CM: This Campbell's Soup: Cream of Tomato by Andy Warhol is from a limited edition of cans that were produced specifically for the Warhol exhibition at Tate Modern (07/02-01/05/2002) to the original design that inspired the artist. In the early 1960s Campbell's Soup proudly presented itself as a model of enduring stability. Warhol got interested in Campbell's Soup label as the epitomy of a commercial mass-consumption product. "Campbell's Soup Cans has a polyvalence that iscompletely at one with its drop-dead simplicity" writes Kirk Varnedoe. "The art in it has already been reduced so hard and so far that it is virtually impossible to split any further".